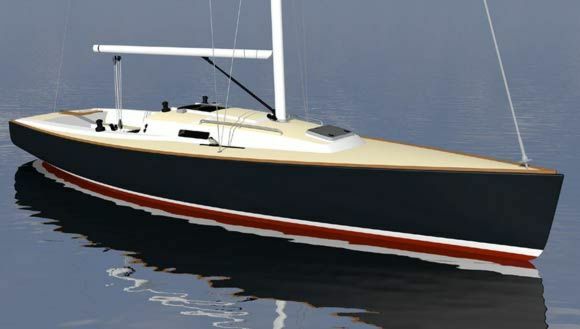 This Crowther 220 is powered by two Volvo diesel engines. Starboard engine: Volvo MD 2040 40hp, with sail drive and 3-blade folding propeller. Port engine: Volvo MD 2020 20hp, with saildrive and 3-blade folding propeller. Each engine has 3800 hours. Other mechanical equipment includes a 2KVA Honda generator and a Pro500 80l/h watermaker. Two engines of 40hp at cruise will add 1knot, possibly 1.5 knots, to the boat speed at a larger fuel consumption rate / burn, - not a lot gained in speed to fuel cost ratio. The M.D2020 at cruise will give a boat speed of 5- 6 knots with a fuel burn of 1.8 lt per hour. 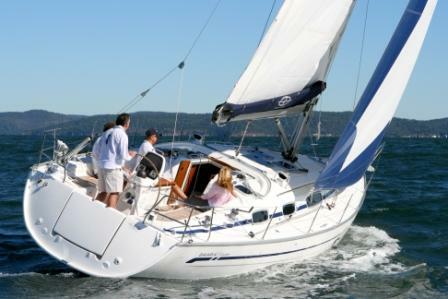 We have found this to be great for motor sailing; in light airs we achieve 7-8 knots. The real benefit of the 20hp motor is in the attached water maker that produces 80 lt per hour of freshwater. Through the heat exchanger 40 litres of hot water becomes available. With the 60 amp high alternator the 20 hp engine charges the house bank while making water, heating water and motor sailing at good speeds with low fuel consumption. This Crowther 220 features all Hyde sails which were replaced in 2017, including: Main - sail area 65sqm (fat top), Headsail - sail on Facnor furler, Lee sails: Code Zero - sail area 68.sqm (Facnor furler). 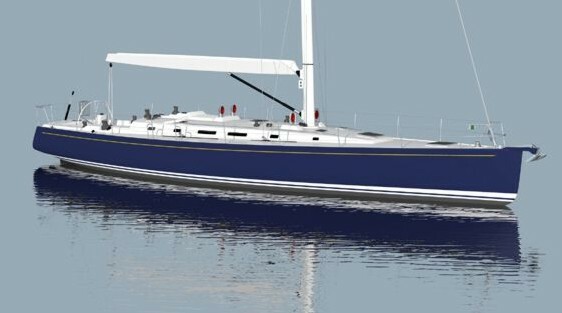 Her rigging was designed and supplied by Allyacht Spars and includes: spreaderless multi-stayed mast (18.25m anodised aluminium), Dyform stays: 3x 12mm upper stays, 3x 11mm intermediate stays, 2x 10mm lower stays and a Wishbone boom with three single line reef points. 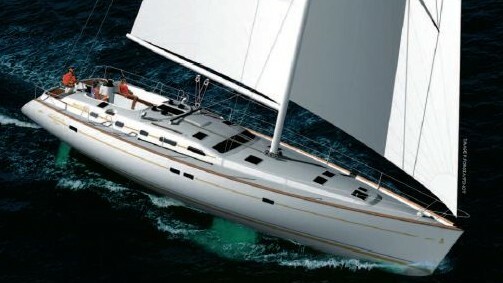 Windward performance: typically the yacht will hold 35 degrees apparent and a little closer when you get to know her. Having dagger boards allows better windward performance. With the right conditions we can often obtain 1 - 1.5 knots additional speed over true wind speed. 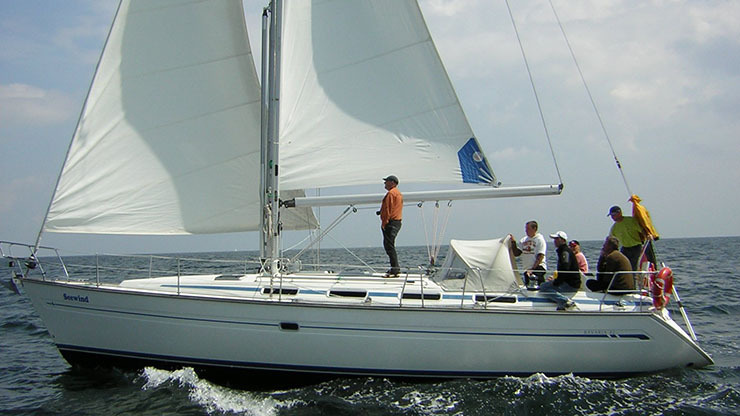 The code Zero is rated to 14 knots apparent wind speed. We change sail plan (putting away the code zero) to the head sail around 12 to 14 knots apparent. The yacht is better balanced with less sail area and powers up better without any speed lost over ground. Sea state is another component that is factored in when selecting sail area; we reef early as we do not need a lot of sail area to maintain good speeds over ground. On a reach, 50-55 degrees, we will get 8 - 9 knots in 10 to 12 knots of apparent wind with main and headsail. 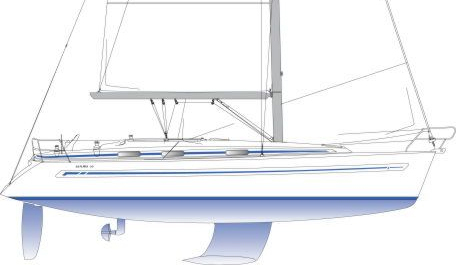 The yacht excels in light airs and handles well in heavy weather due to the balanced rig and the Catana hulls. Comfortable ocean passage making on the longer voyages we find our average speed is 8.5 knots. This was recently based on our 12 days sail from Langkawi to Maldive Islands. On the PNG to Australia voyage we averaged 10 knots over the 3 day passage. Accommodation for 8 is provided within this Crowther 220 catamaran. There are two queen sized cabins with queen sized beds, spacious cupboards, Full hanging wardrobe with mirror, footlocker, Hella 2-speed fan, reading lights, Weaver hatches and portlights with insect screens. There are also two double cabins each with a double berth, spacious cupboards, Hella 2-speed fans, reading lights and Weaver hatches and portlights with insect screens. There are two bathrooms featuring TMC electric heads and showers with hot and cold water. The spacious saloon on this Crowther 220 catamaran features a Tasmanian Oak table with height adjustment, and plentiful seating for guests. The galley is situated upstairs and is well equipped with a Smev gas oven and grill, BEP gas monitor with alarm, NEC 750w microwave, double sink, 180l fridge with Danfoss compressor, 150l freezer with a Danfoss compressor, and plentiful storage. The spacious cockpit of this Crowther 220 features queen sized undercover day beds, plentiful seating with cushions, a large stainless steel BBQ, a built-in 80l icebox, and a hot and cold deck shower. Dyform stays: 3x 12mm upper stays, 3x 11mm intermediate stays, 2x 10mm lower stays. Maxwell 2200 anchor winch with capstan (capstan used for raising main) the winch is original. The motor and gear box is serviced every 2 years. 60amp alternator on MS2040 with 3 step smart charger. 2 x 240 distribution boards. Autonav A1500 Auto pilot with 30 meter cable remote. This Crowther 220 is also equipped with a 3.5m composite tender with a 9.8hpTohatsu outboard from 2016. This boat is lying in Phuket, Thailand.